Most investors use equity in their current owner occupied and/or investment property to access cash and buy more properties. Tapping into this equity can help investors build wealth more quickly. Most investors do not understand how the equity can be accessed and often end up accessing equity through the wrong structure. 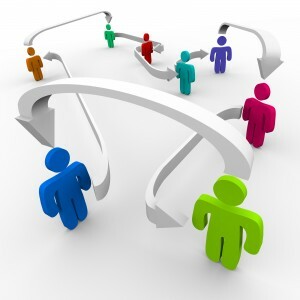 Lenders and brokers choose a structure that is favourable to them rather than clients (YOU). Cross-collaterisation is when once property is used as collateral to secure another loan. So, the lender has two securities against one big loan. This provides extra security for the lender, but is not favourable for the borrower. If the borrower is unable to make repayments on the cross-collaterised loans, the lender can force sale of all collateral in the mix. Why you should avoid cross-collaterisation? Here are four reasons why you should avoid cross collaterisation. Banks always put their best interests at heart and try to reduce their risk in every deal as much as possible. What better way to transfer the greater risk to the borrower than to cross-collaterise? Property 1 (worth $400,000) and property 2 (worth $400,000) are crossed. Two years later, property 2 has gone up in value by $50,000 and property 1 has gone down in value by $50,000. Your portfolio is still worth $800,000 only. If you wanted to access the equity in property 2, your lender may restrict and not let you access equity because the two properties are cross-collaterised. A worse case scenario can be when you want to sell property 2, your lender may not let you do that because the end LVR is not favourable to the lender. However, if your situation makes it necessary to sell property 2, then your lender may need you pay down the loan on property 1 before they will release title. Cross-collaterisation can greatly restrict your freedom. It leaves your hand tied and puts the power in your lender’s hands and disrupts your investor journey. One of the benefits in the current market is that you can shop around to find the best deal and can move from one lender to another with minimal discharge costs. You should review your loan at least once a year and see what else is available. But if your loans are crossed, you may find it hard to negotiate with your current lender – be it for better rates or to move to another bank, because they exactly know what challenges you will face. When cross-collaterised, the process can be more hard and tedious. Not only will you face higher exit and/or establishment costs, you will have to revalue your entire portfolio. One of the main reasons to refinance is access equity to buy your next property. If you are a seasoned investor, you are not going to stop with one investment property. As your property portfolio grows, you may want to access more equity. If your properties are crossed, then depending on the mix of properties that have been crossed and their value, you may not be able to access equity. If the bank sees no change in the total value of your property portfolio (as explained in the above example), they will not let you access any equity. This means that you are missing out on buying another property even though you have equity. Should they all be separate loans, it doesn’t matter to the bank which property has gone up or down in value as they are all stand alone loans as they would have no knowledge about the performance of other properties. Many a time, it is your owner occupied property that has considerable equity. If you cross this property with an investment property and should there come a time when you default on your investment loan, your owner occupied property or your principal place of residence is also at risk and you can end losing this house. You might have heard rumors that it is necessary to cross-collaterise to secure a good interest rate. That is so not true. The best way to make sure if your loans are crossed or not is by looking at the part of your loan contract which has the security and see if it mentions one address or two addresses as security. Look for this before you sign the contract, because once you cross the properties it can a nightmare and take ages to uncross it. As you grow your property portfolio, make sure every loan is secured by one property only. Let’s assume you buy a property worth $400,000. You spend $30,000 on minor renovations. The market moves in your favour and within a year the property is now worth $475,000. If you originally borrowed $380,000, you still have the same amount of loan. If your lender will let you top up your loan to 90% of the increased property price, then you will be able to access $47,500 giving you not only the $30,000 you spent but an extra $17,500 that you can put in your offset account or use for further renovations or property purchases. So, avoid cross-collaterisation and keep all your loans separate and enjoy greater freedom! When home buyers think about finance to purchase a property, they have a choice between a mortgage broker or going to banks directly. I am a big advocate of mortgage brokers – not because I am one but because a good broker can help you build wealth through your property portfolio. Mobile lenders or employees who work for the bank are employees and get paid anyway and may move from one lender to another. 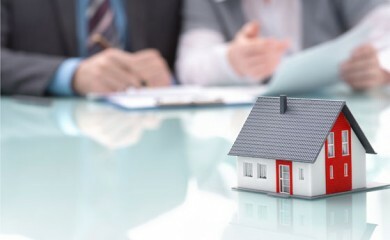 So here are the advantages & disadvantages of using mortgage brokers for your home loan. On average, mortgage brokers have around 25 to 30 different lenders on their panel. In terms of the number of loans, this means there are nearly 1000 plus home loan products. If you were to research each lender and their different loan options, you can spend days on end, trying to figure out which one to choose. Besides, you may not even know the names of certain lenders who have really good home loan products. 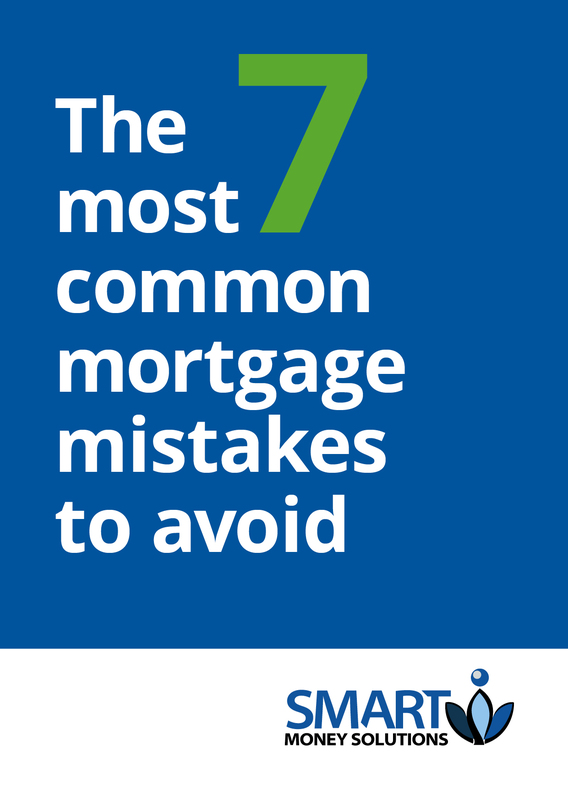 A mortgage broker can also steer you away from certain lenders who are not so easy to deal with. Mortgage brokers not only help you choose the right home loan, they also help you save time by filling out paperwork and liaising with your lender and other parties involved, from application to loan settlement and after. On average, it can take anywhere between 2-10 hours or more from application to settlement to get your home loan approved. By using a mortgage broker, you don’t need to take valuable time out of your day to get your home loan approval. Some lenders work exclusively with mortgage brokers and rely on them to bring suitable business to the bank. You may not be able to call these lenders directly to get a home loan. Brokers may also be able to get special discounts from lenders due to the volume of business generated than you can get on your own. There are different types of fees that are involved when you take up a home loan including application fees, legal fees, settlement fees, ongoing fees, valuation fees and LMI. Mortgage brokers can help you navigate through this maze and help you either choose loans with minimal/no fees or negotiate with lenders to get some of the fees waived which can save you 1000s of dollars. Most mortgage brokers are business owners and hence want to keep clients for the long term. Bank employees get paid at the end of the day whether they do justice or not and hence good mortgage brokers really take care of clients to provide excellent customer service. Your ultimate goal with a mortgage is to get a loan with a low interest rate and fees and aim to pay it off quickly, not having the loan for a 30 year term offered by the lenders. Sometimes, mortgage brokers may suggest lenders who pay them extra commissions or because they need to meet volume requirements. 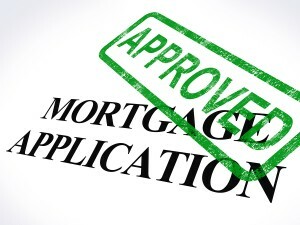 There are a few lenders who do not offer loans through mortgage brokers. Since GFC, there are a few lenders who have come back to offer loans through mortgage brokers. If you want a home loan from a very specific lender not on the broker’s panel of lenders, you may have to approach them directly. A majority of brokers are comfortable using 3-4 lenders on a regular basis whose policy they are familiar with. So, even though they have 25+ lenders on their panel, they actually don’t use the full range to check suitable options for clients – which means you may miss out on a good deal. In conclusion, mortgage brokers are able to find you a suitable loan, but check out the person to see if he/she is the right person to help you. Work with a reliable mortgage broker with solid references and you should be able to secure the loan of your dreams. I am a big fan of building relationships – be it with family or clients or anybody I come across (as long as I like the person). So I regularly schedule meetings with bank BDMs (Business Development Managers) to see how they can help me help my clients with their home loan approvals. A couple of days ago, I met one of the BDMs and this was due an issue I had recently with the bank. The basic discussion was around how the bank screwed up a loan approval for one of my best clients. She was a dentist and was borrowing less than 80% (no LMI) and they wouldn’t approve the deal until the last minute. The assessor kept asking for document after document and it got to a stage where I had to get higher authorities involved. This client had the capacity to buy a $700k property with cash and the bank wouldn’t approve the loan. How ridiculous! I want to summarise here some of the points discussed – hopefully it gives you some idea of how the banks work and why some applications are approved and some not.. Scenario 1: You may have the borrowing capacity and have the basic 5% deposit that you have saved. You assume your deal is straightforward and should be approved quickly. Possible reason for decline: Bad conduct on your bank account(s) – meaning you frequently overdraw your account and pay late fees or overdrawn fees. This indicates that you cannot live within your means and if the lender provides you with a bigger debt, there is the risk that you won’t pay it back. Scenario 2: Another popular one that I often see is single applicants who want to buy a property. They are usually living with their parents rent free. Possible reason for decline: No savings at all plus one or two credit cards. A bank assessor always looks for your capacity to save when they assess your file. If you are living with your parents and not pay any rent and yet don’t save much, how will you manage to make repayments on your mortgage debt? Scenario 3: You have good conduct on your bank accounts, have saved the 5%, are in a steady employment but have two or three credit cards – all maxed out plus a car loan and a personal loan. Your servicing is very tight. Possible reason for decline: The number of credit cards and other loans indicate that you are struggling to live within your means and it can be risky approving your home loan. Apart from the above scenarios, sometimes bank may not approve your loan because of credit scoring. This is different from your credit file. A combination of external and internal factors may result in a loan decline. So click here to download my top twenty tips to get your loan approved. Happy shopping and remember I’m only a phone call away ((03 9005 3983)- should you want to discuss your home loan needs.